The package consists of four bills. Ukraine's Cabinet of Ministers approved at its Wednesday meeting a package of four bills that must be adopted for the implementation of the pension reform. 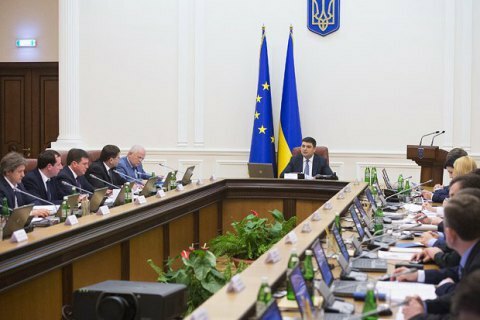 Prime Minister Volodymyr Groysman said the first bill provides for changes in the provision of pensions in certain legislative acts of Ukraine; the second bill contains amendments to the Customs Code; the third bill introduces changes in the Tax Code. The fourth bill suggests changes to the Budget Code. The reform involves raising pensions from 1 October 2017 for 9mn people from an increased base for calculating pensions. The indexation of pensions will resume starting 2018. The reform cancels taxation of pensions for working pensioners. In the opinion of the Prime Minister, the Pension Fund's may reach a no-deficit level within 7–10 years after the adoption of the reform. The position of the government on the reform on LB.ua was presented by the Minister of Social Policy Andriy Reva.